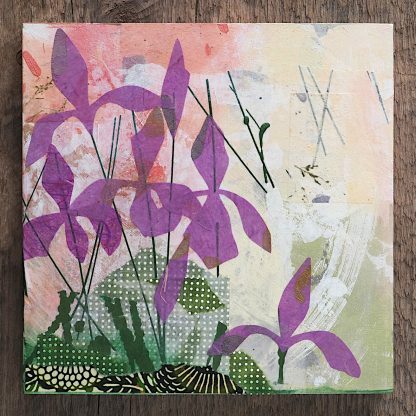 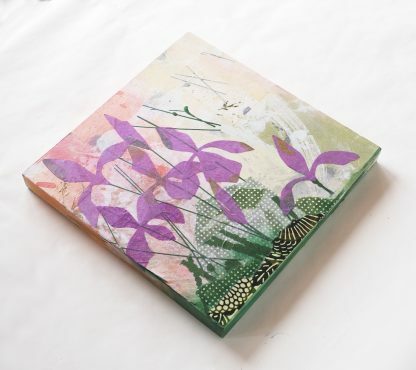 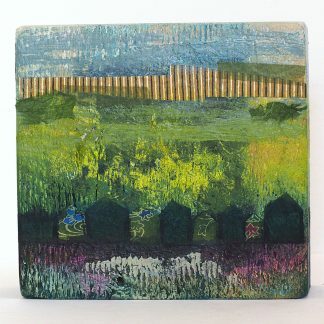 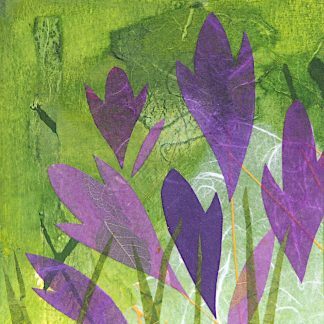 Mixed media collage art of abstract purple irises on an 8″ x 8″ (20.3 cm x 20.3 cm) wooden panel. 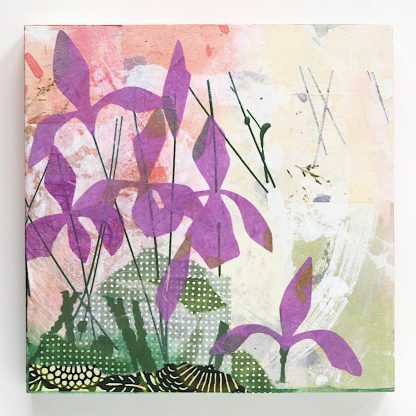 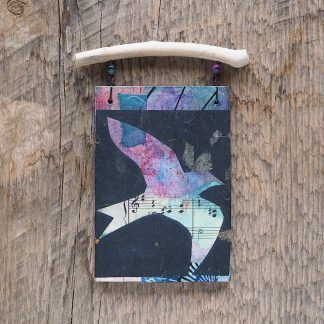 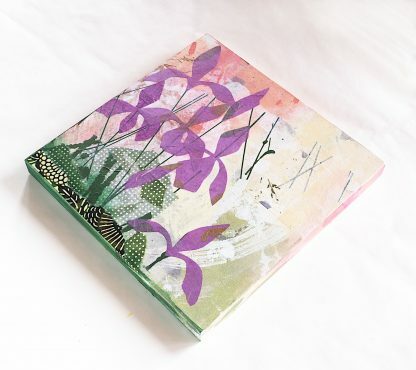 Colorful collage in pale purples and greens against a warm neutral background. 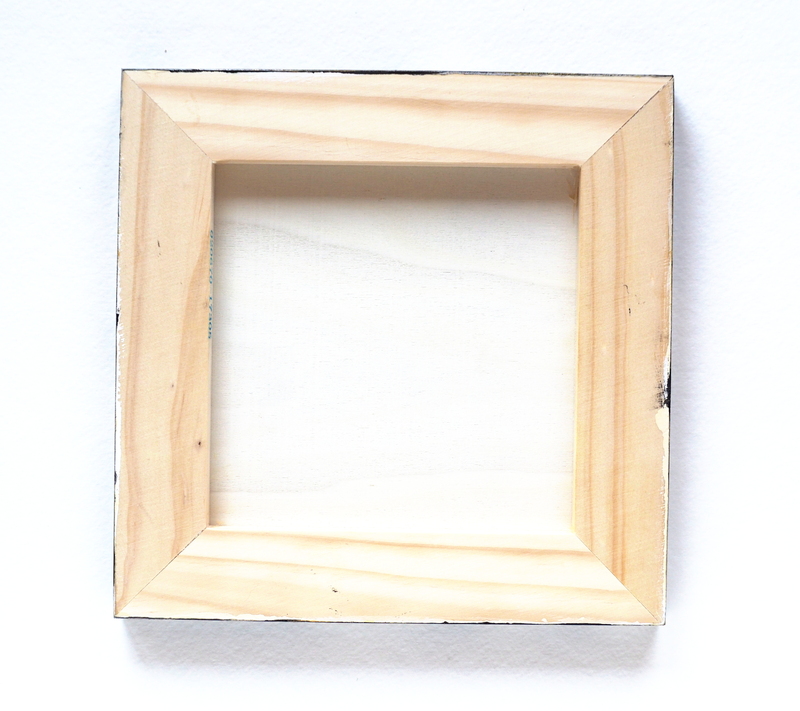 The cradled wooden panel is 3/4″ (1.9 cm) deep, with painted sides. This original work in acrylic and cut paper is ready to hang.